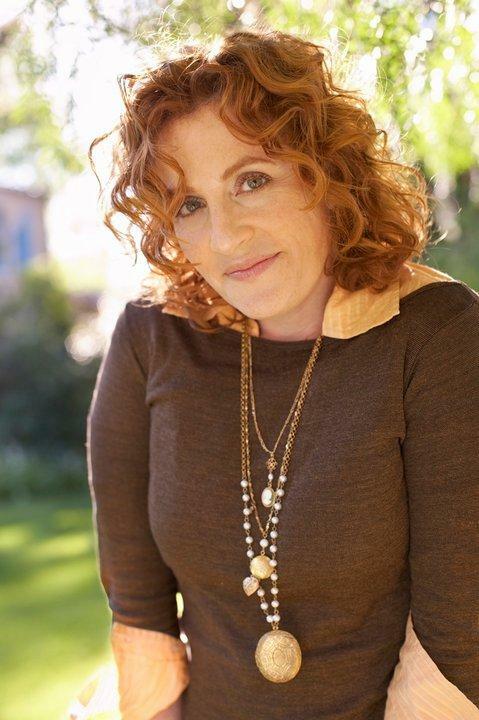 Bestselling author Ayelet Waldman is the author of the new novel, Love and Treasure. “I read about the Holocaust, I wrote about the Holocaust, I studied it in college, and I never had heard this story before,” admits writer Ayelet Waldman, who is in town for the Pittsburgh Arts & Lectures series this evening to discuss her new novel Love and Treasure. The book weaves a tale around the true World War II story of a Hungarian Gold Train. One of the main characters is an American lieutenant described as a "tough, smart New York Jew" who is charged with guarding this treasure, a responsibility that grows more complicated when he meets a beautiful Hungarian woman who has lost everything in the Holocaust. Waldman has Jewish roots , attended Hebrew school as a child, has visited Israel, but she says it was Google where she found the idea for this novel. Hungary was an ally of Germany and at the end of the war, a series of edicts were issued that demanded the Jewish people turn their property over to the post offices and the banks. The property was loaded onto a train when Russians began invading Hungary from the East. The train left Hungary just a step ahead of the Russians and after its long trek across Europe the train, that was worth in contemporary dollars between $500 million and $7 billion according to Waldman, ended up in America’s control. Several questions were then asked about what should happen to the property. Ayelet Waldman will give a presentation Monday night at the Carnegie Music Hall in Oakland as part of the Pittsburgh Arts and Lectures Literary Evening Series. The novel will be available in April. Pittsburgh Arts & Lectures brings some of the world’s leading authors and speakers to Pittsburgh. For the last 7 years, Executive Director Jayne Adair has grown the organization’s audience to be one of the largest attended literary series in the country. Adair plans to retire later this year, so we wanted to speak with her about the experience of working with Pittsburgh Arts & Lectures, the upcoming season of speakers, and what it takes to bring those big names to town. Did Daniel Handler Kill Edward Gorey? Master of wit and noir author Daniel Handler pitched the story idea for his now-classic “Series of Unfortunate Events” series in a bar, for a reason. According to Handler, he figured that the idea of “terrible things happening to orphans over and over again," would not go over well with the editor, and he might as well be in an establishment that served alcoholic beverages after she said no. Producer Kate Tellers says The Moth StorySlams, Radio Hour and Mainstage have experienced huge success in Pittsburgh over the past few years. She coaches storytellers before they perform and worked with Justin Strong, owner of Shadow Lounge and AVA, in crafting a story. Tellers says truly effective stories are able to reach to the lowest point in someone’s life and illustrate a turning point that defines them.